Midwest Salt has sponsored ChlorideConscious.com to help their chloride reduction movement. They aim to reduce chloride emissions from snow and ice management by giving a free collection of data and articles on how to use chlorides more efficiently. We recognize a problem with chlorides damaging waterways and the environmental impacts this causes. There are numerous studies that document this from various associations and colleges that have run scientific test on the effects of bulk road salt on green area, water ways and wildlife. Being a national salt distributor, Midwest Salt has an opportunity to be at the forefront of spreading the knowledge needed to reduce chloride emissions. 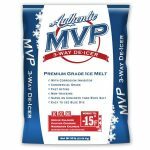 Although, as a business, we want to distribute as much salt as possible, we also want to help our customers use ice melters and our other products responsibly. Not only is over applying salt harmful to the environment, it is also a HUGE expense that snow and ice contractors incur. If you are over salting roads or parking lots by 15%, you are in turn spending 15% MORE than needed on your salt supply! These costs quickly add up and eventually need to be passed on to the customers. By becoming more efficient you can help reduce risk of losing customers from rising costs associated with the service you provide. Efficiency means MORE PROFIT! ChlorideConscious.com offers tools to track each storm and salt application to fine tune the needs of each property and event.